Find her attached a small userguide on how to register to the new ECSS Website and how to change the password. The user IDs from the old ECSS website are no longer valid. 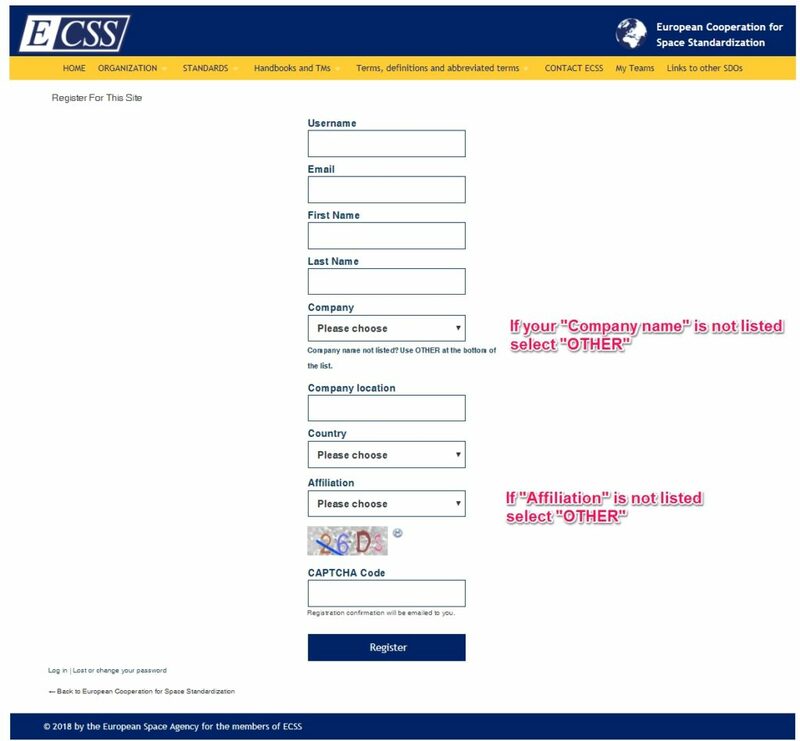 To access the ECSS Team Websites of the individual ECSS Working Groups and Task Forces (now via menu item “My Teams”) the old user IDs and passwords are still valid. Go to the ECSS Website www.ecss.nl and select the link “Register to this site”. 2. Fill in your data on the following screen and press on the button “Register”. 3. 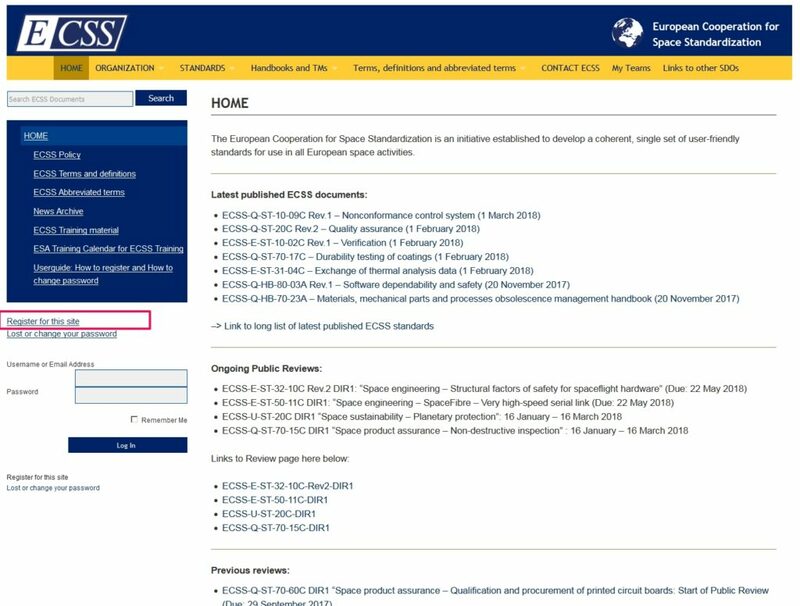 After having pressed the button Register the “Policy for use of ECSS System by non-ECSS members” is shown and an e-mail sent to your e-mail account to activate your new account. 4. After having activated the account following website will appear with the information that your password will be emailed to you. NOTE: If you want to change your password to your own liking follow the steps on how to “Change the password that are explained in the next clause. 2. On the next screen enter your Username or e-mail address. Enter the CAPTCHA Code that is shown on the image and click on “Get New Password”. 3. fter having clicked on the button “Get New Password” an e-mail like in the example below will be sent to you. 4. Select the link to reset your password. A website like in the following example will appear where you can either accept the proposed password or type in your own password. Complete by selecting the button “Reset Password”. In case encounter difficulties with the resetting of your password please send an e-mail to the ECSS Secretariat using the second link on the homepage.